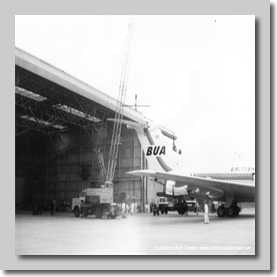 G-ASIW was being readied to fly the Duke of Edinburgh to South America. 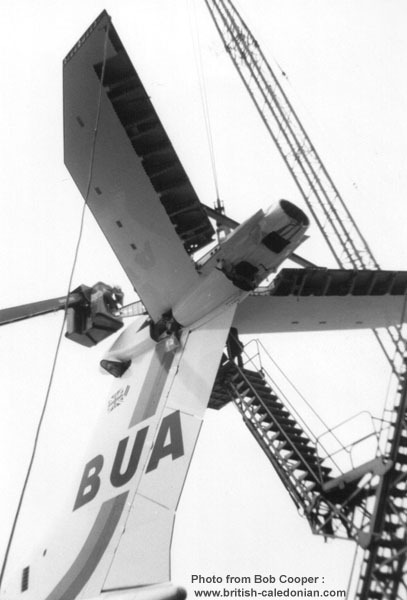 The work included changing the tyres, though unfortunatley she dropped off the aft jacking point. 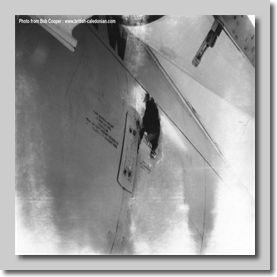 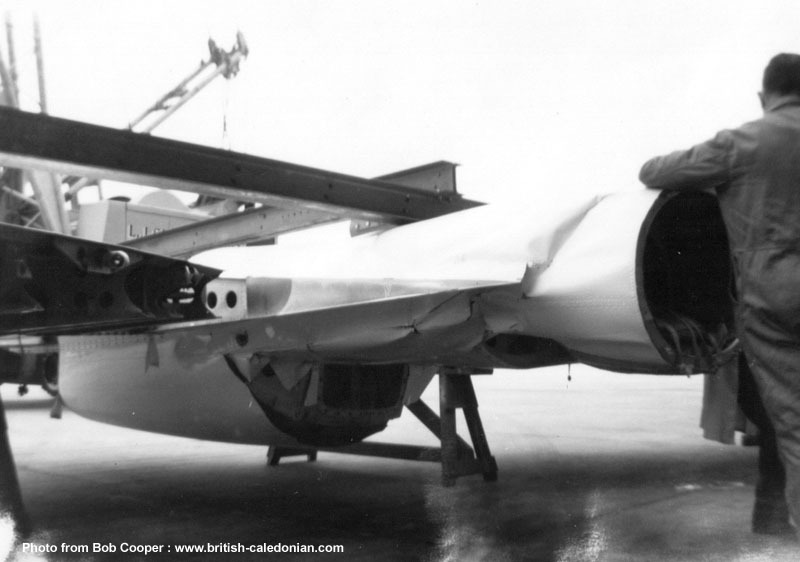 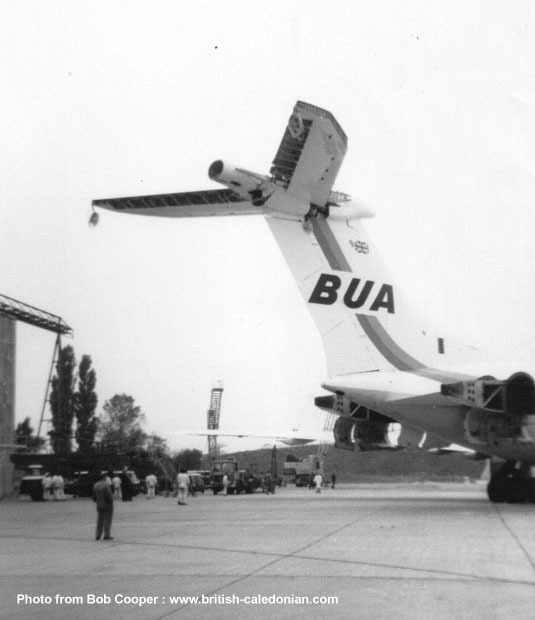 The jack punctured the fuselage and the tail plane struck some maintenance staging platforms. 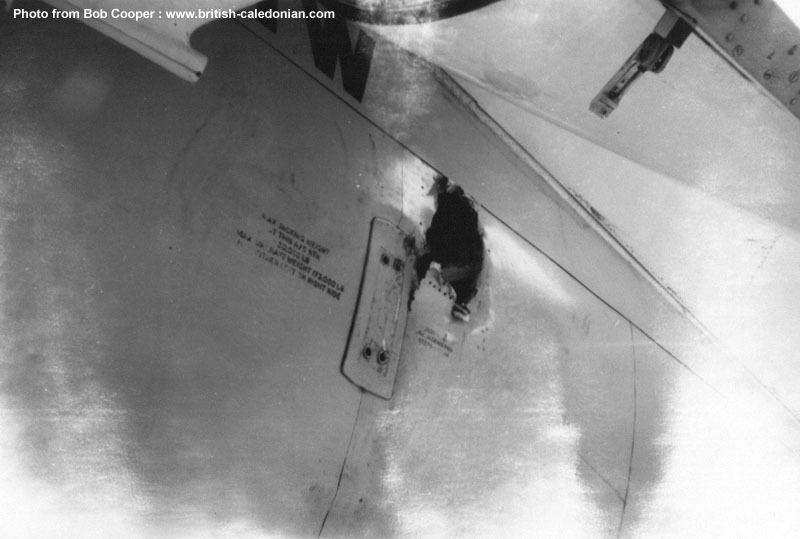 The tailplane was damaged and India Whisky could not undertake her royal duties. 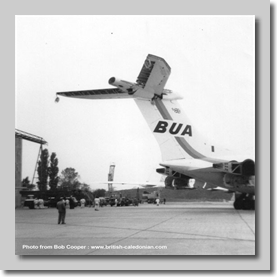 In the end stand-by VC10 G-ASIX flew out on the 25th September 1966 with Prince Philip on board while ASIW was in for a lengthy repair. 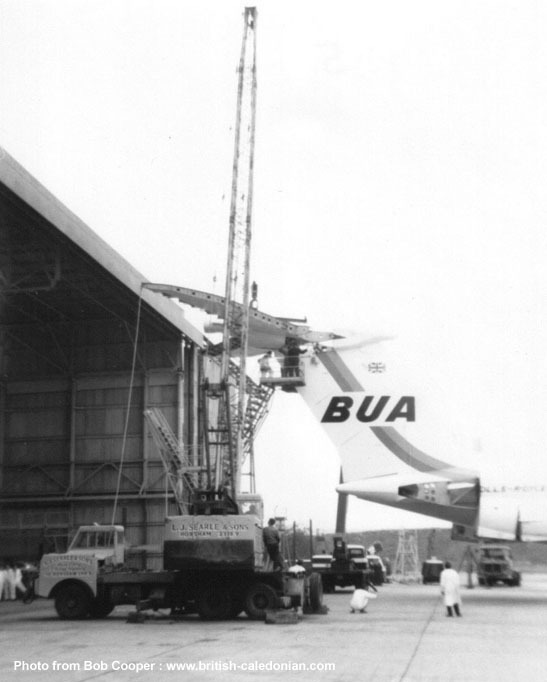 VC10 G-ATDJ was now elevated to stand-by aircraft, just in case. 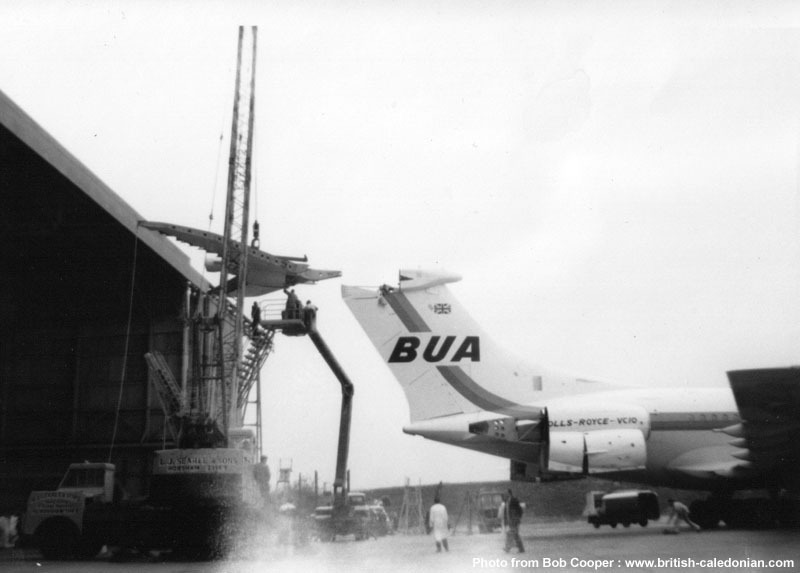 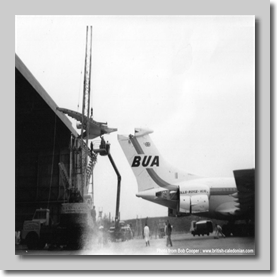 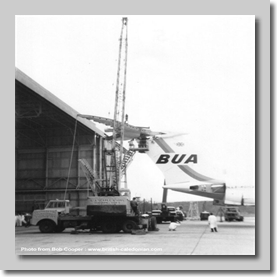 The removal of ASIW from the line led to BUA's Britannia's being reinstated to long haul troop flight duties to cover the time of IW's repair. 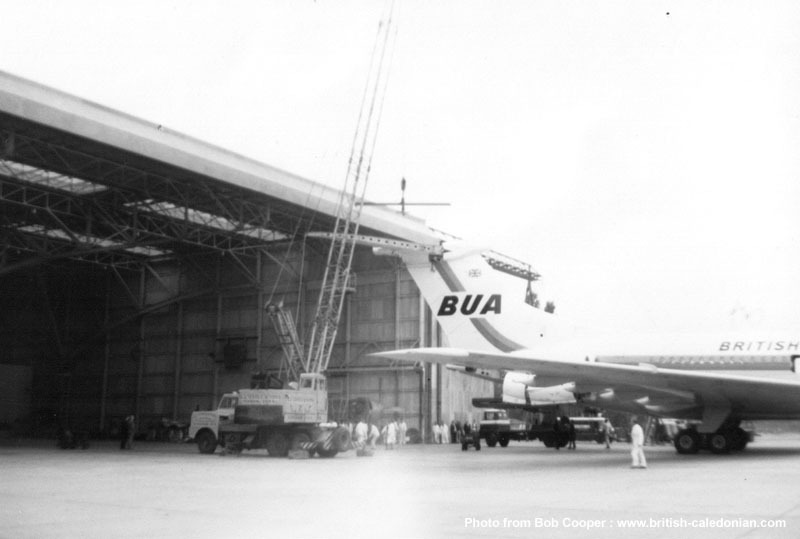 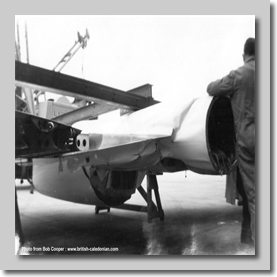 Below we have a series of photos from Bob Cooper showing the repairs underway with the removal of ASIW's tailplane.